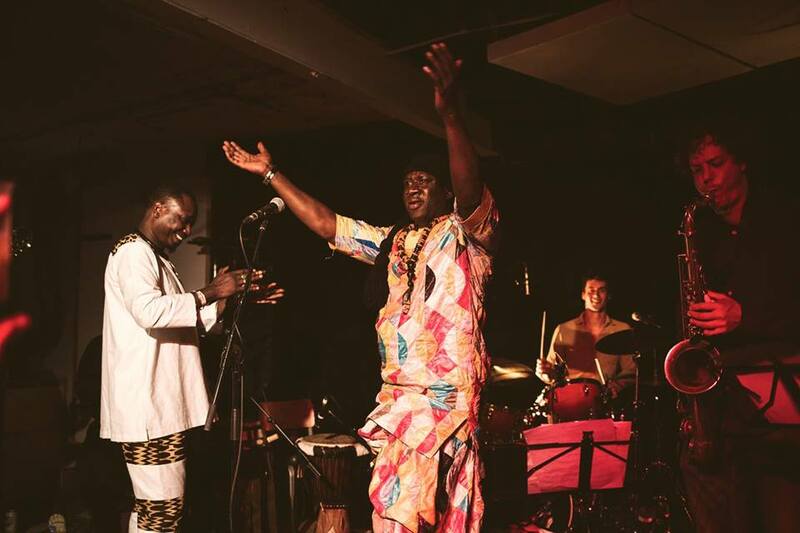 We’re delighted to welcome this London-based band with a Senegalese soul. Biram Seck’s soaring voice evokes messages of love and peace, underpinned by heavenly poly-rhythm groove explorations. Intense and spiritual Sabar Senegalese percussion and Afro-Latin drums conversations, weaving intricate guitar patterns and horn lines with catchy bass riffs. Like a spinning kaleidoscope of sounds, each tune travels on a varied musical journey, from afrobeat to soul, deep Afro-jazz to Latin. Awalé is on a mission to experience happiness together in these fractured times. A truly magical and uplifting cross-cultural collaboration, bringing together Afro-latin, funk and soul elements with a Senegalese twist. The wonderful voice of Biram Seck and Thibaut Remy’s compositions make for an unmissable combo. Must See! Most Impressive, echoes a lot of greats like Orchestra Baobab and Youssou N’Dour but with very much it’s own sound.